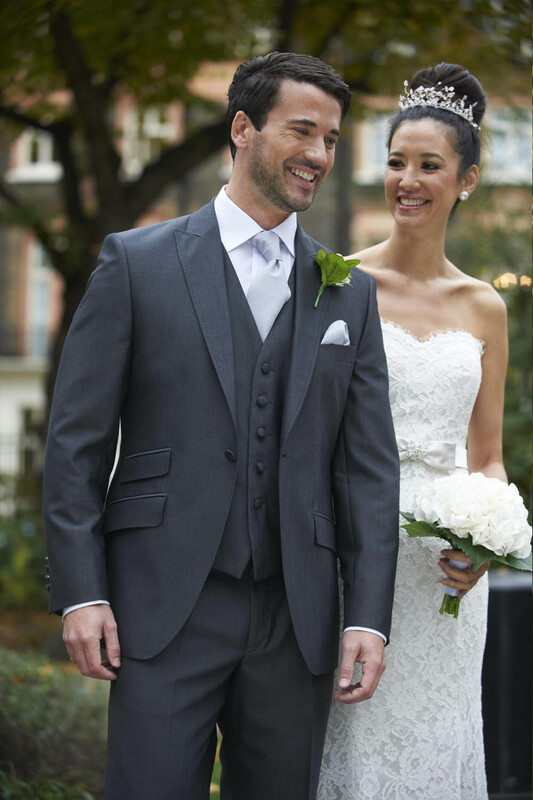 A wedding day is also a special day for the friends and family of the bride and groom, and we understand that everyone will want to look their best. 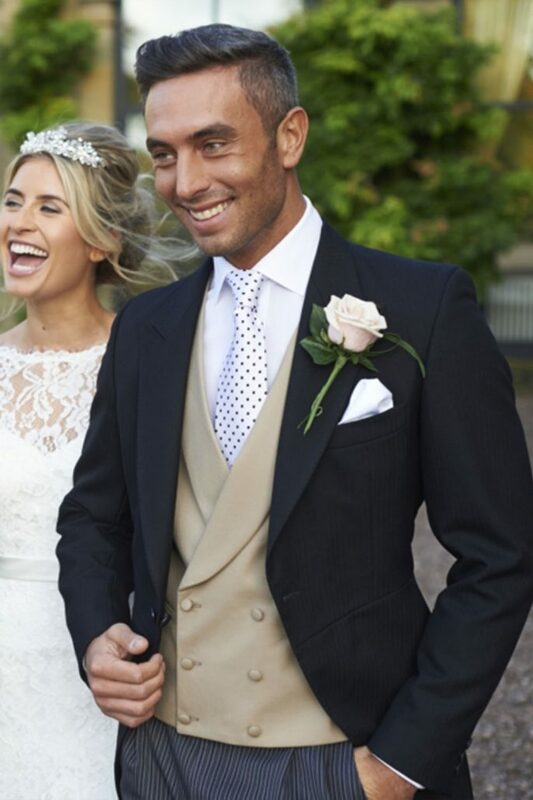 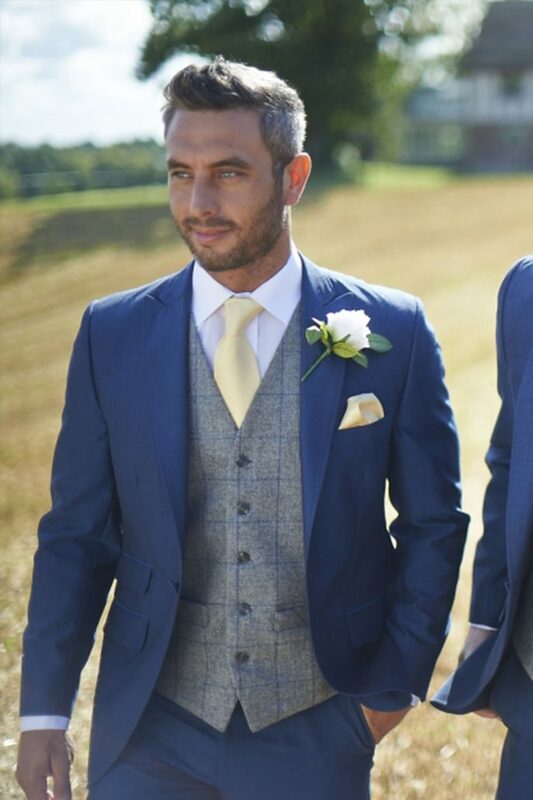 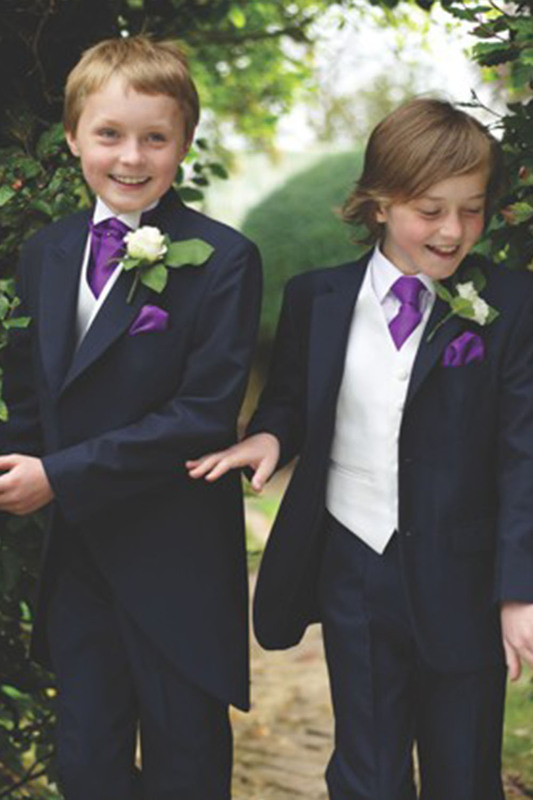 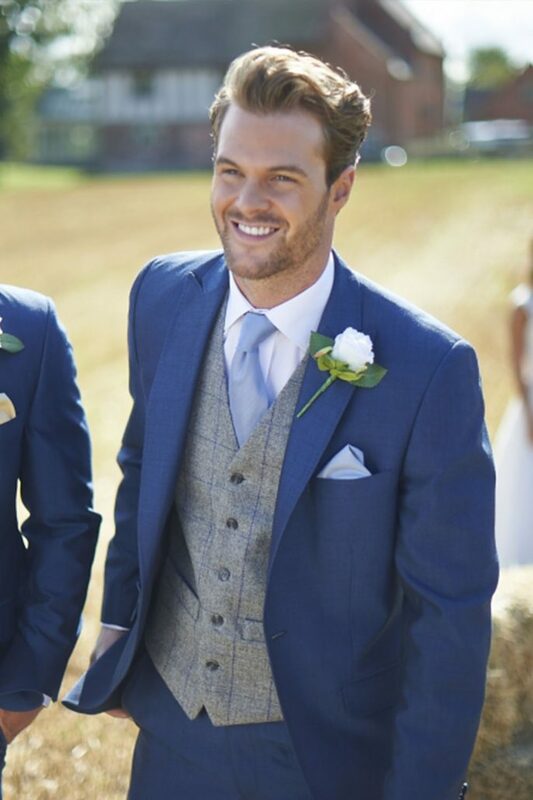 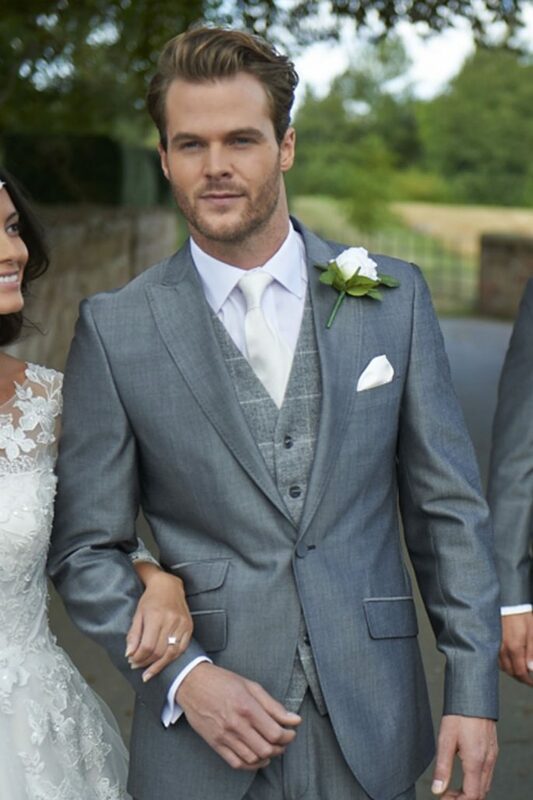 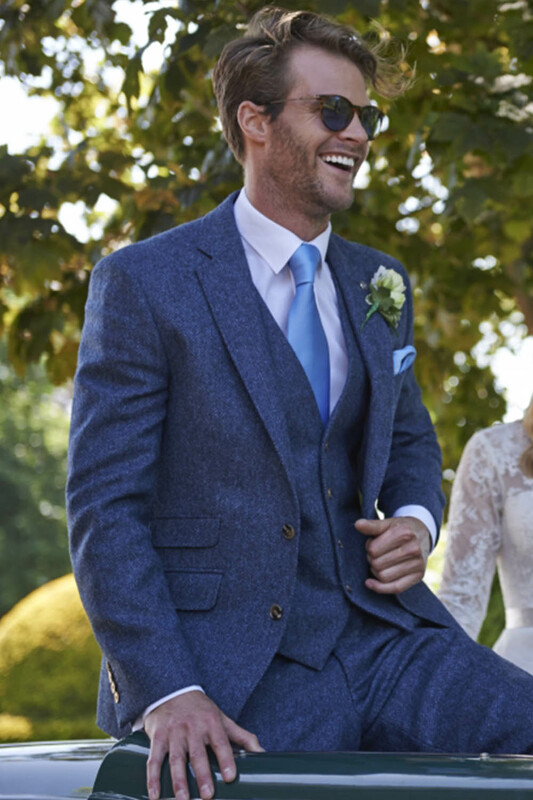 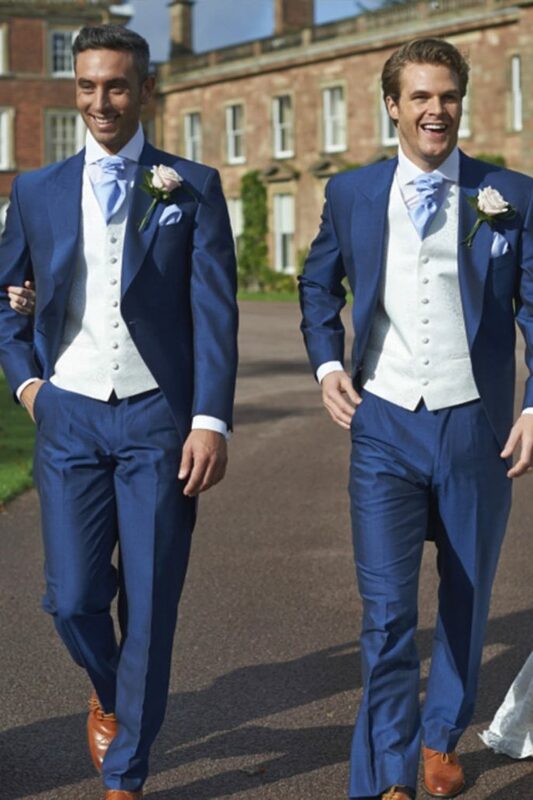 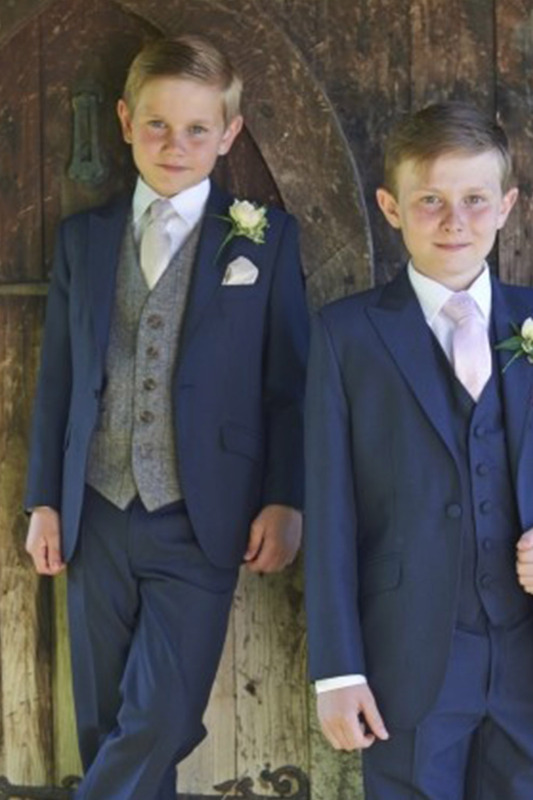 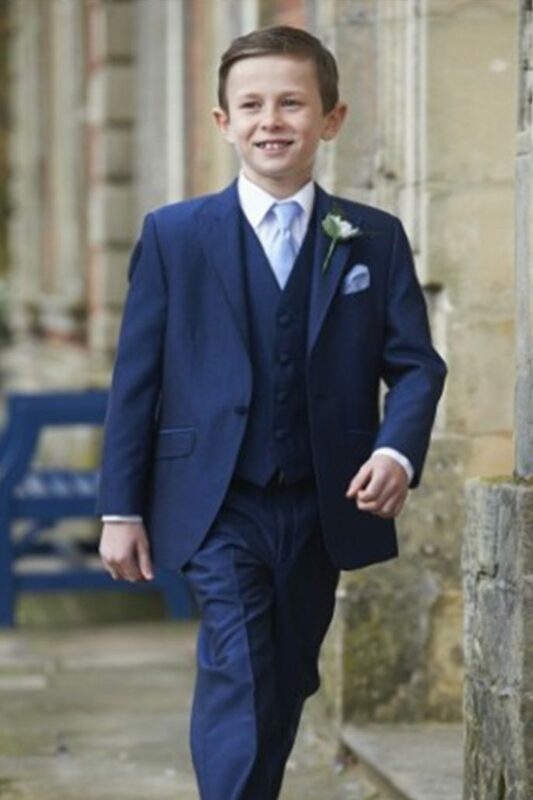 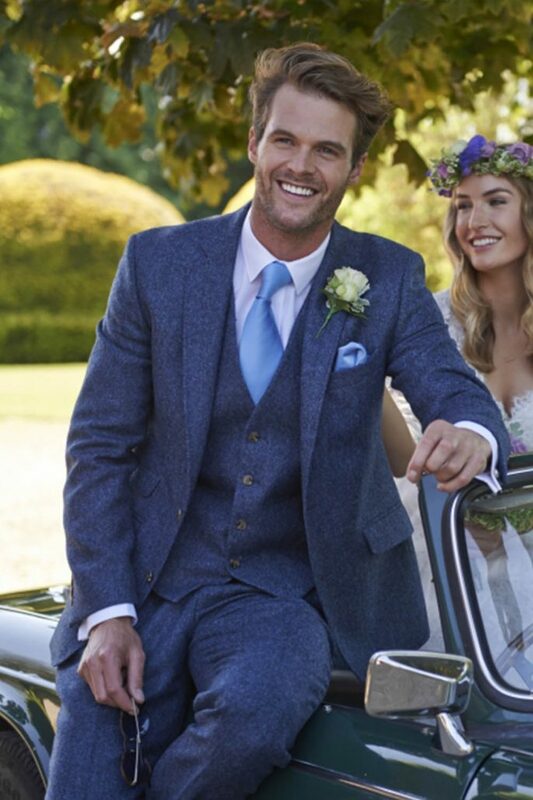 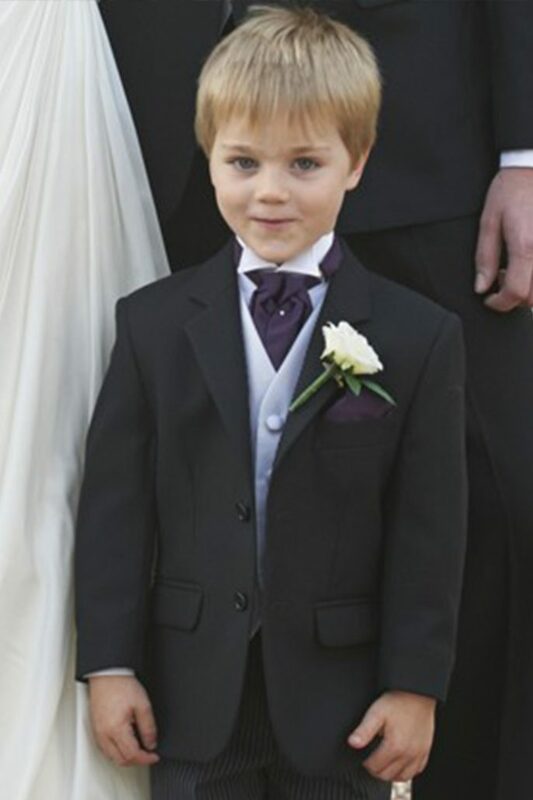 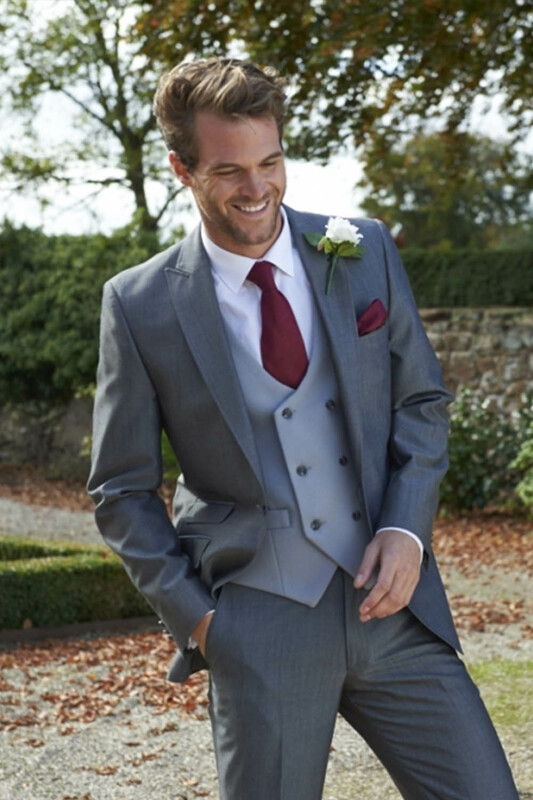 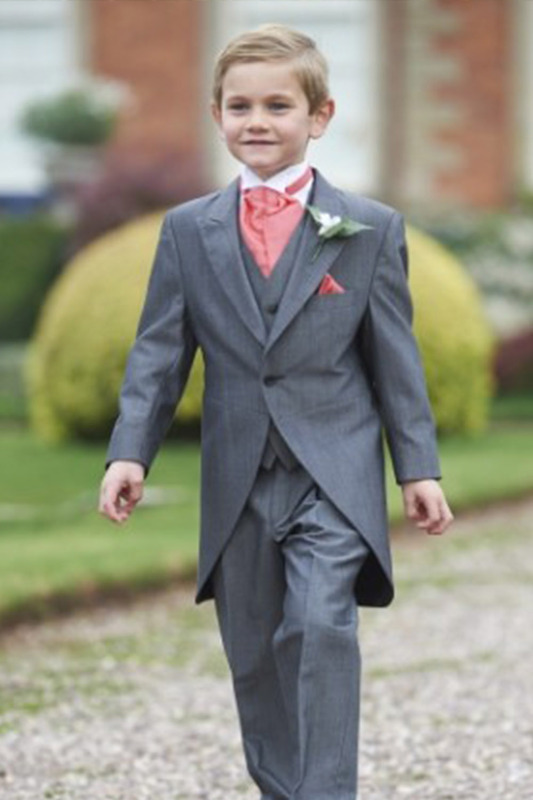 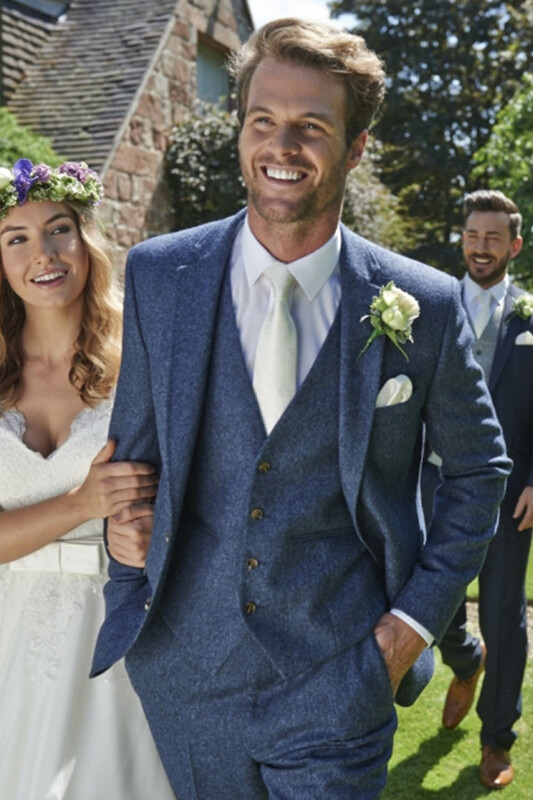 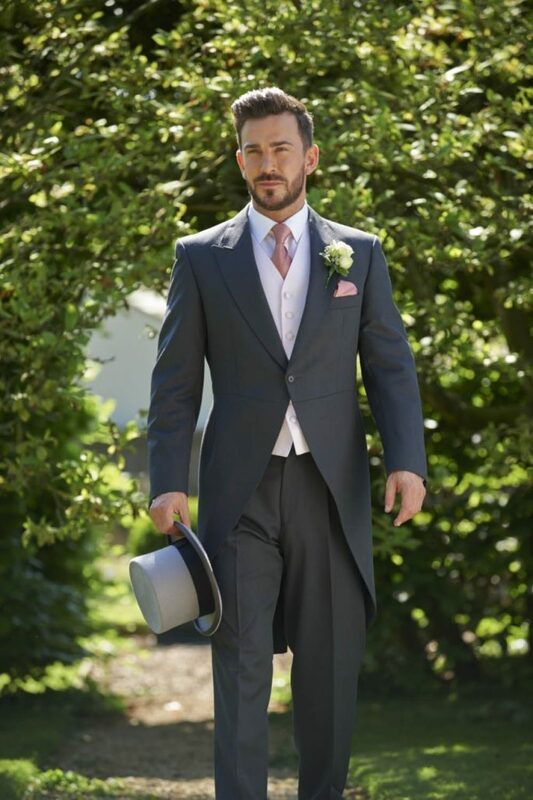 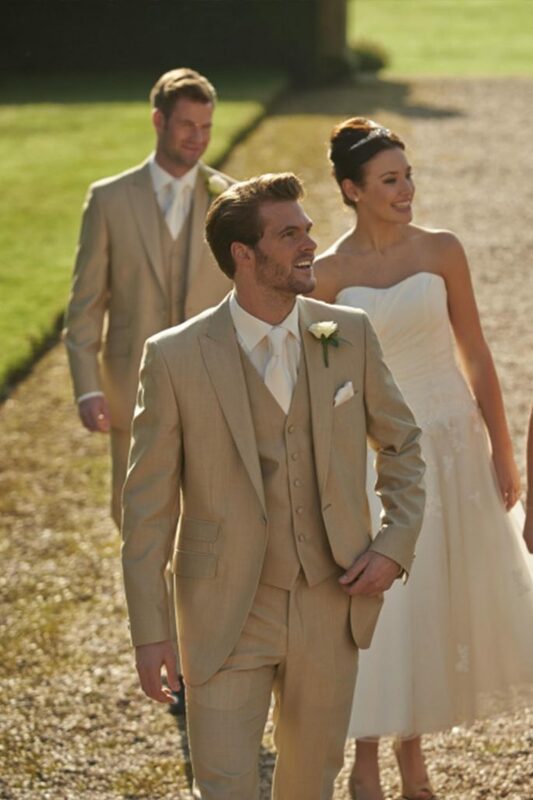 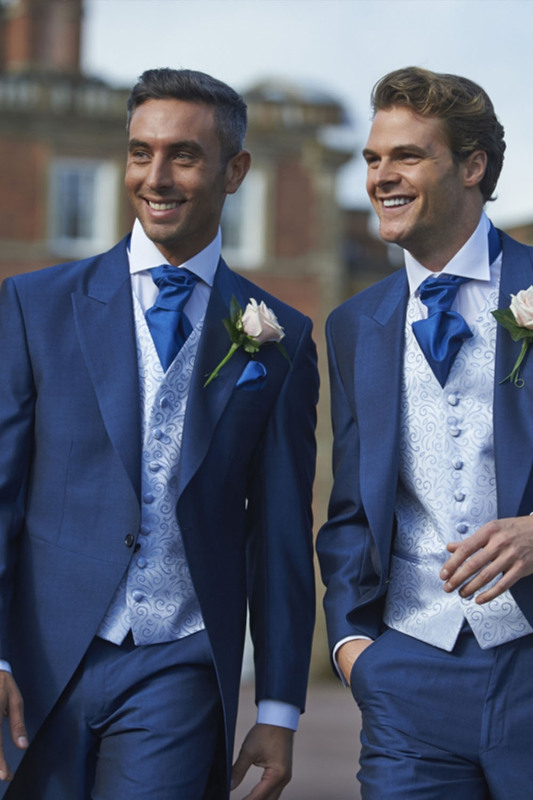 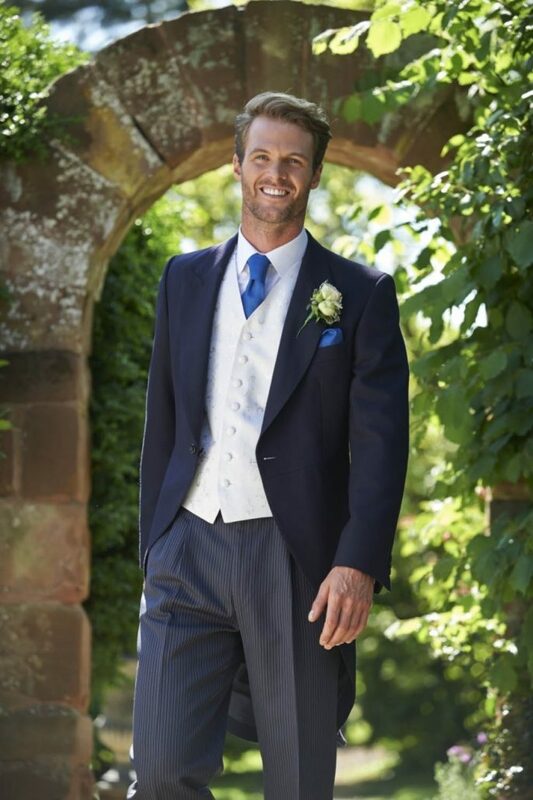 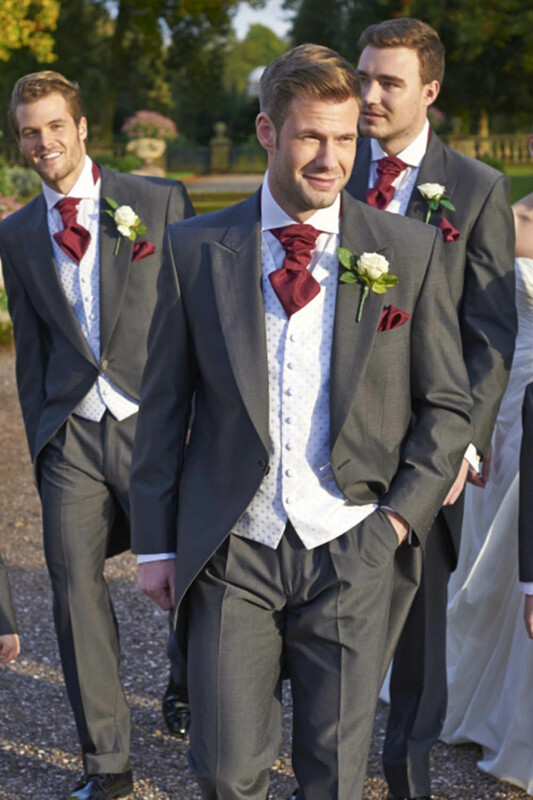 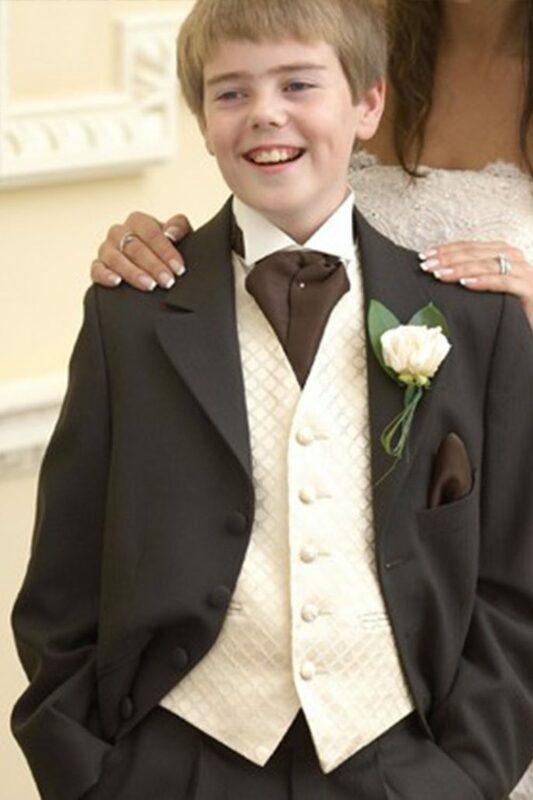 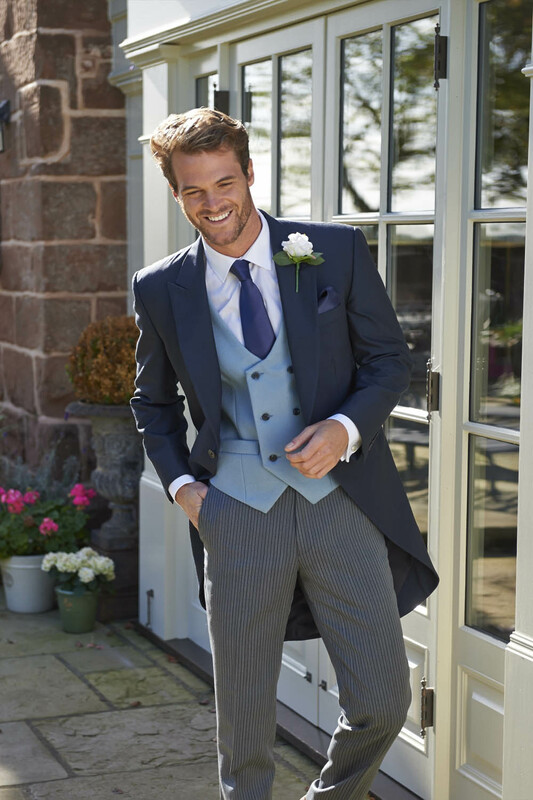 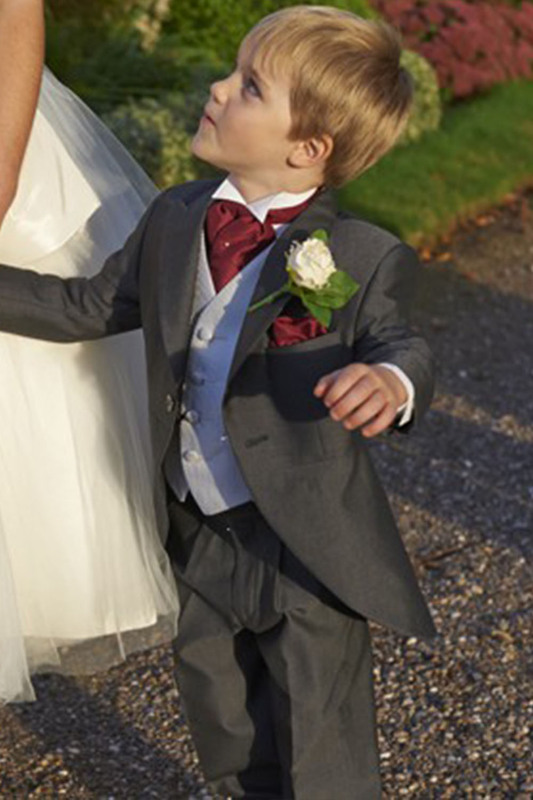 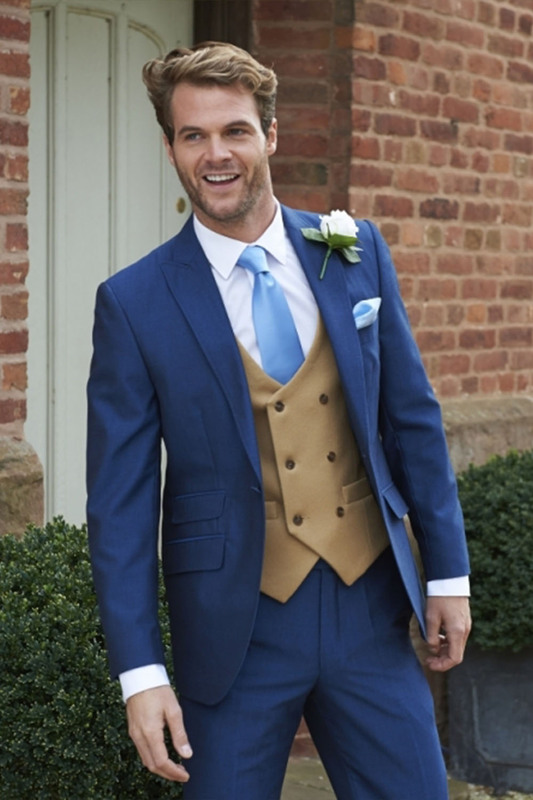 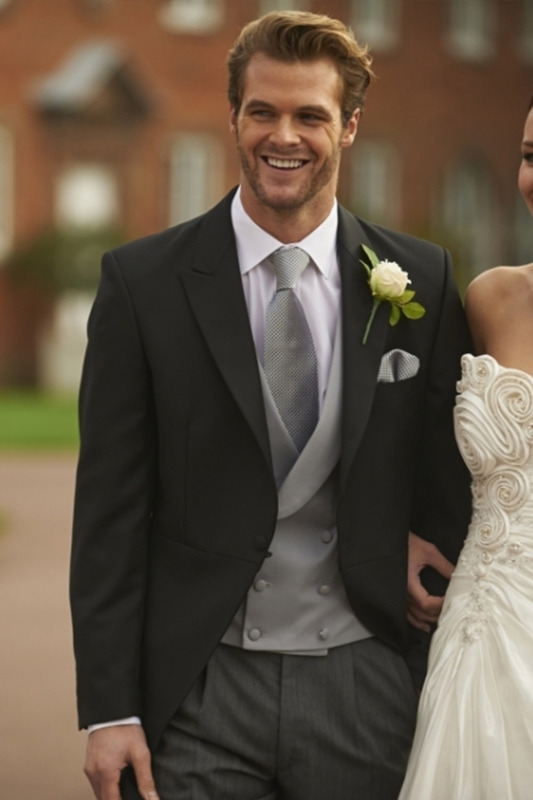 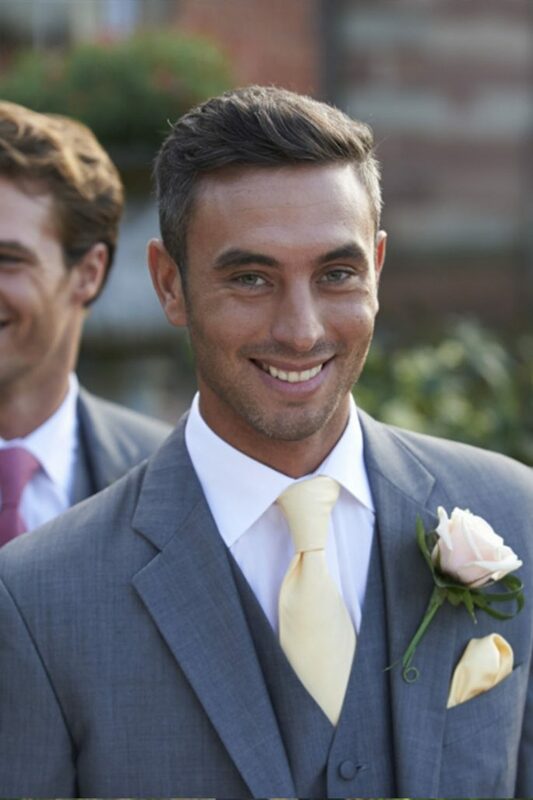 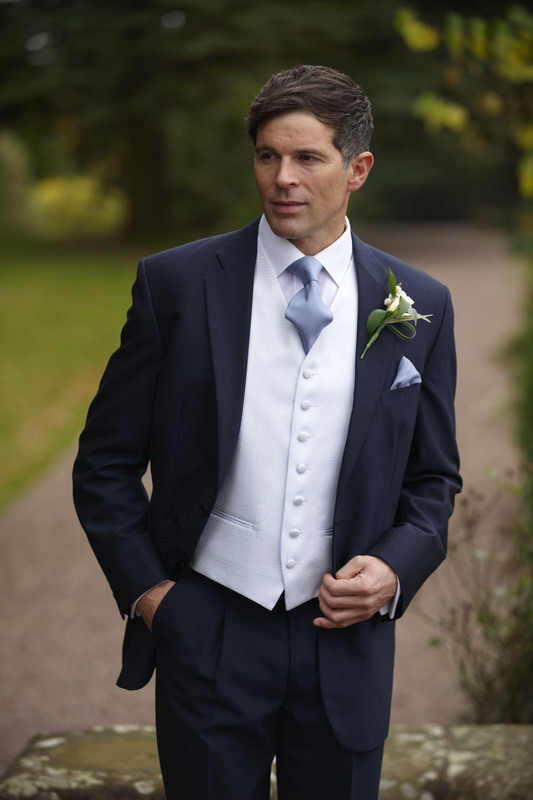 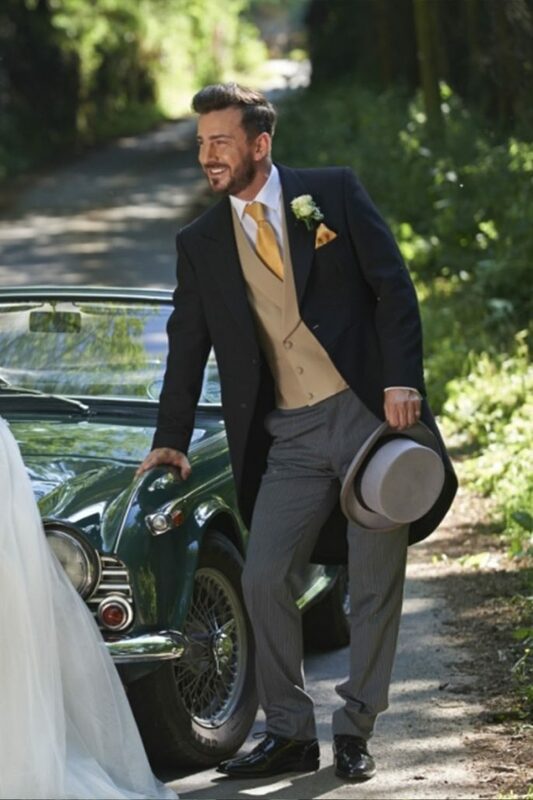 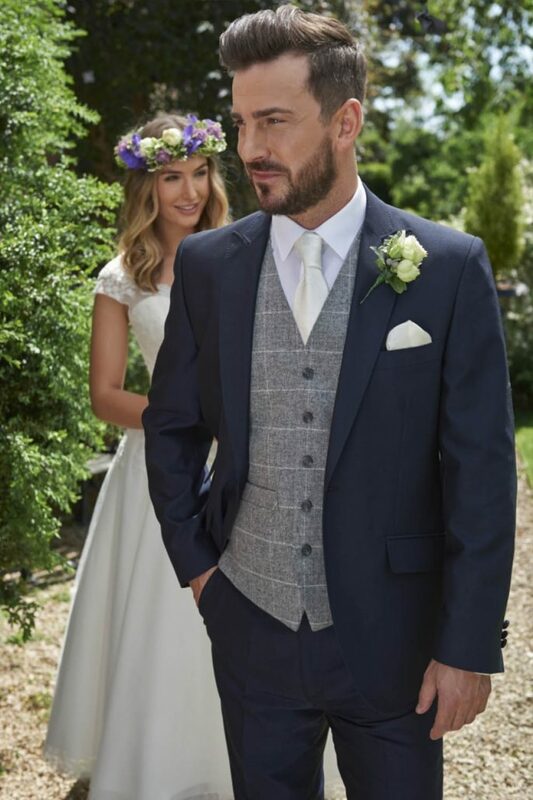 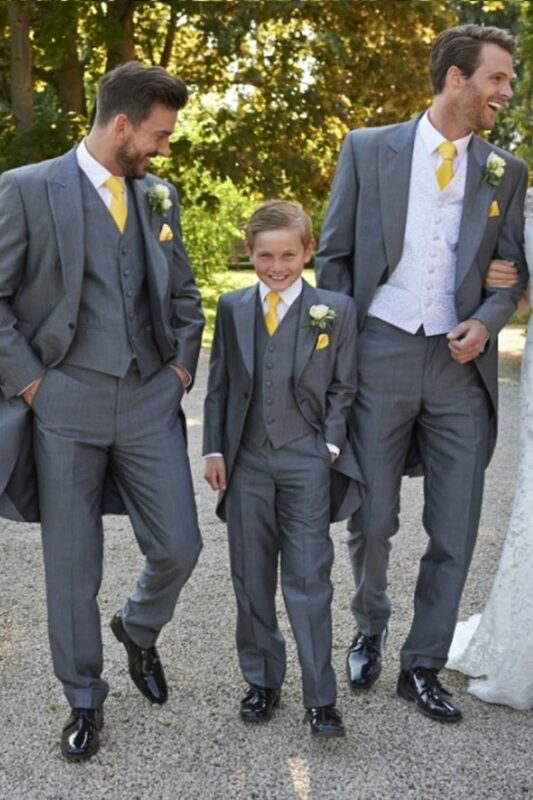 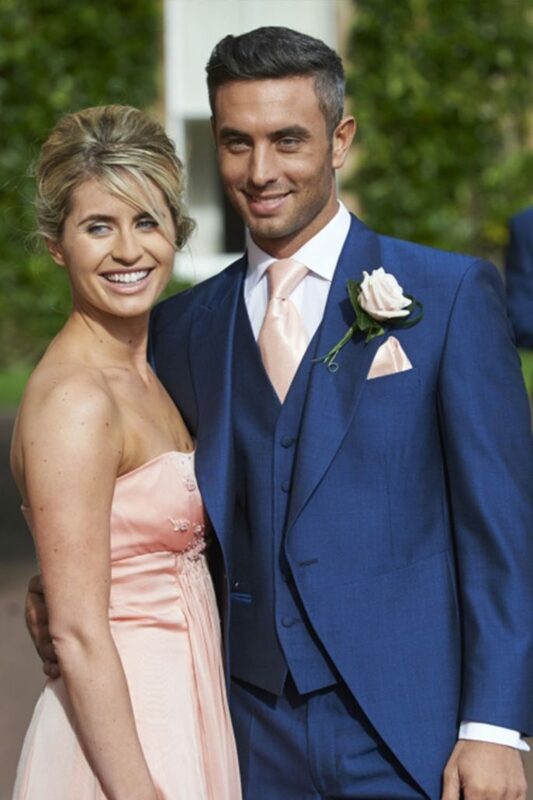 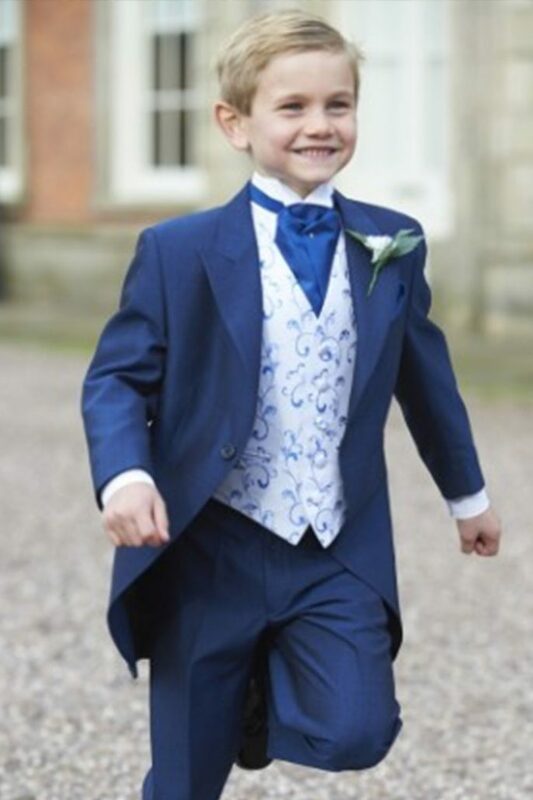 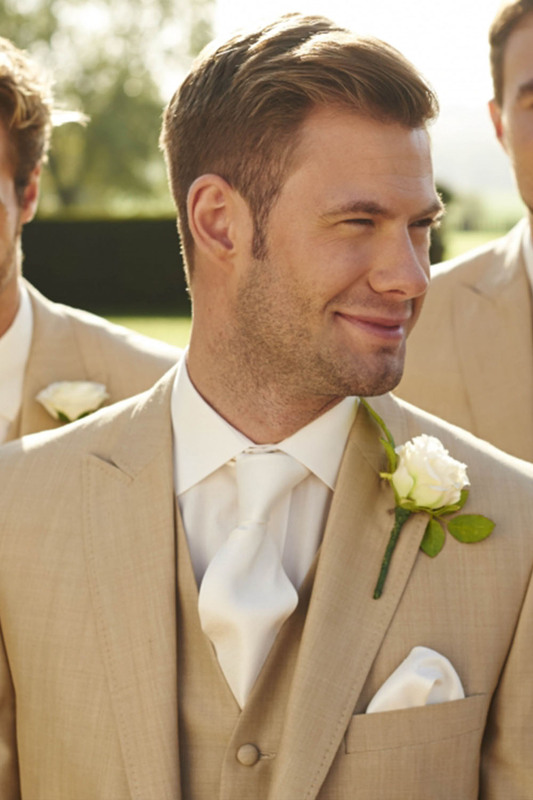 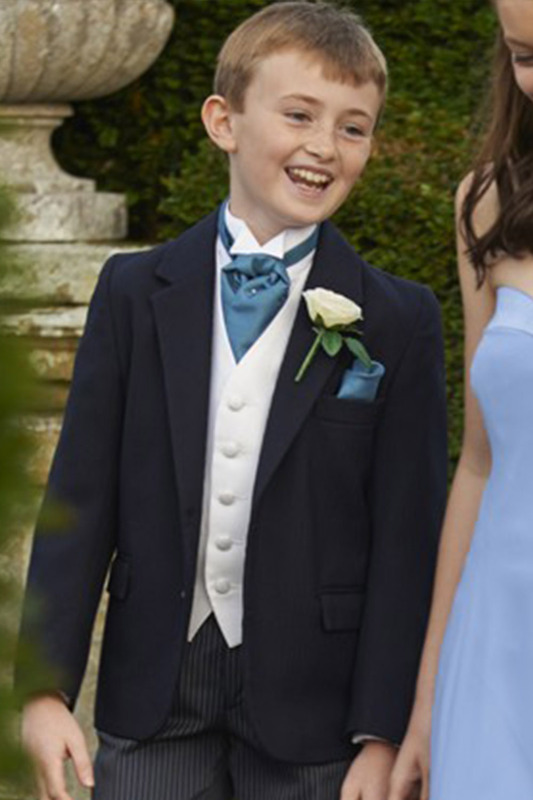 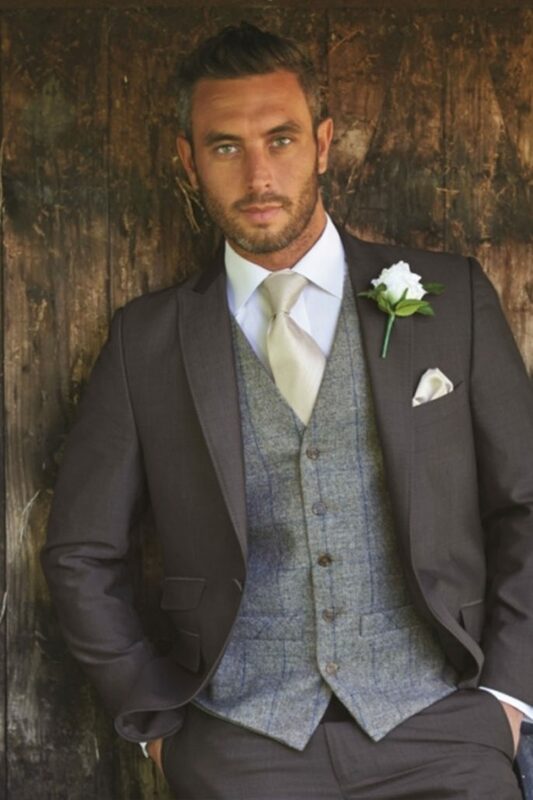 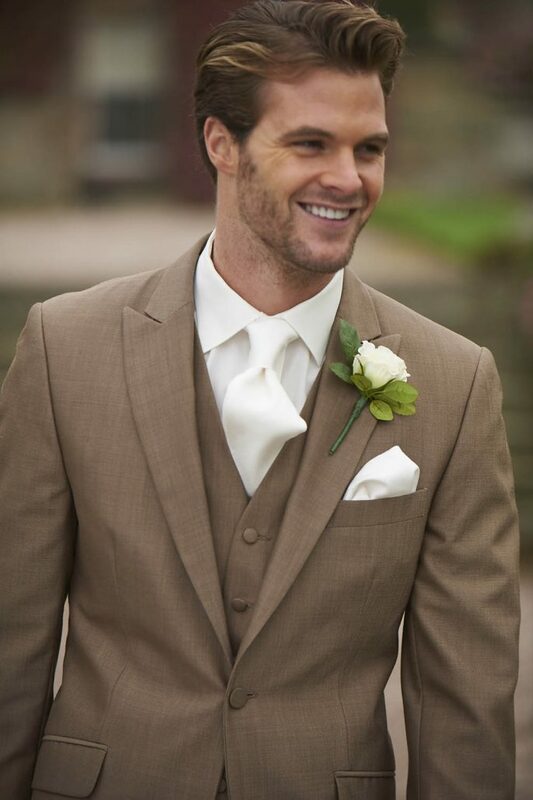 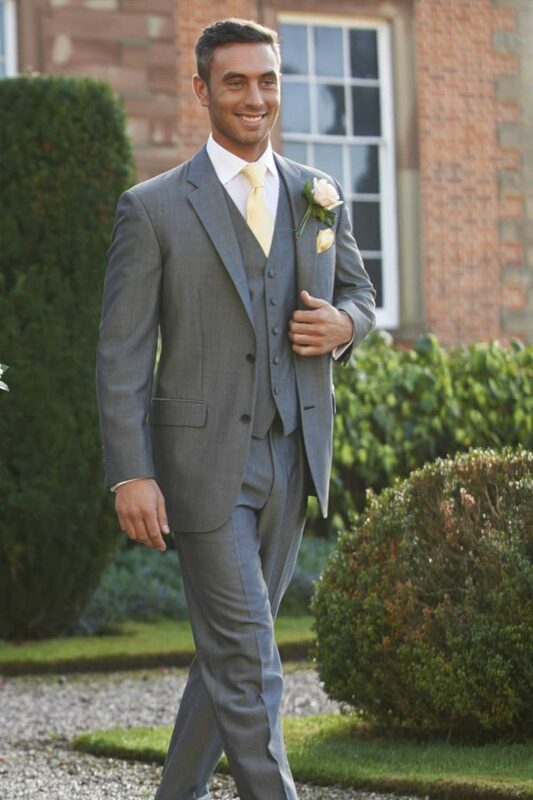 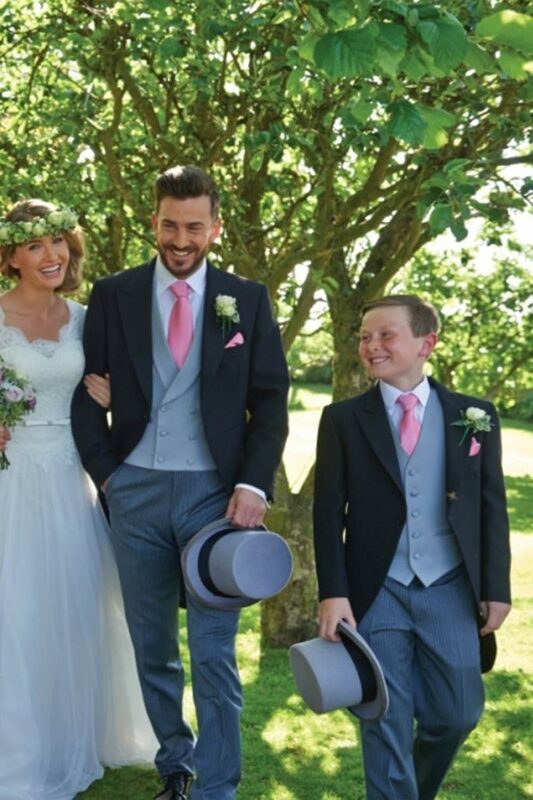 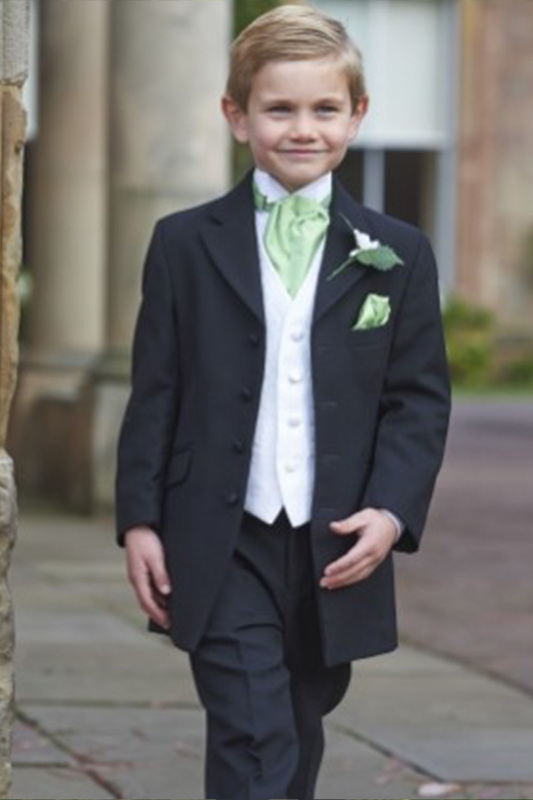 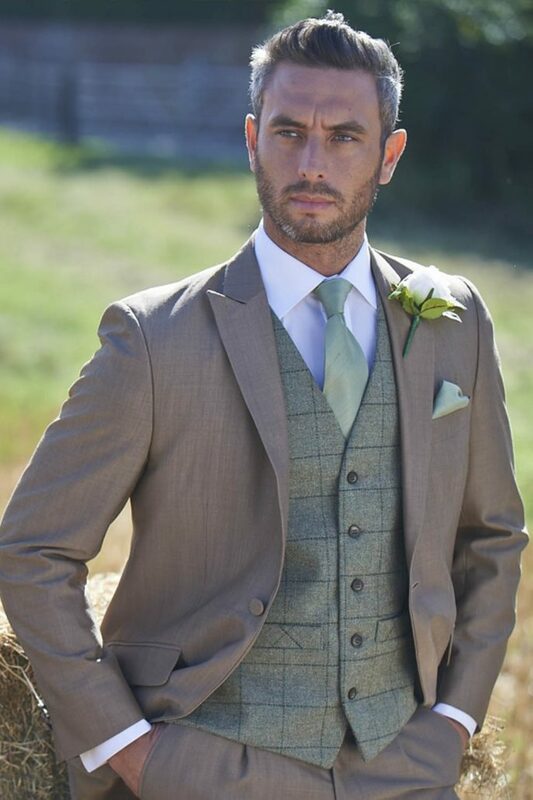 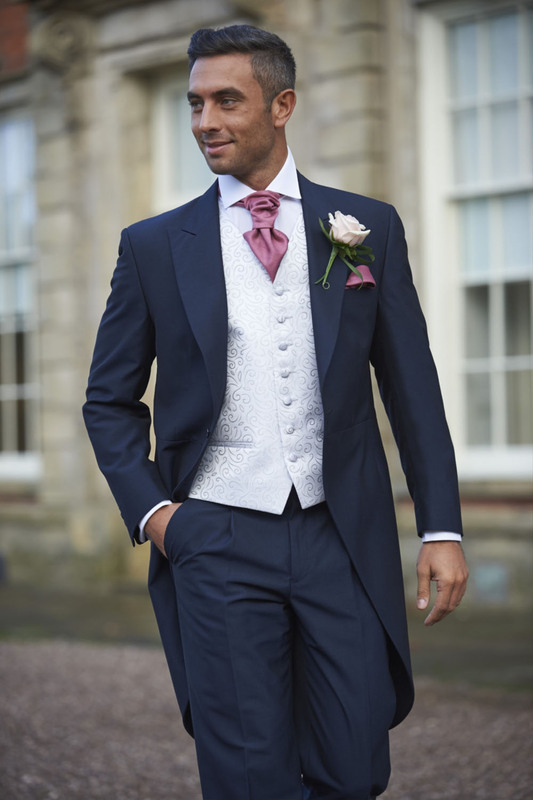 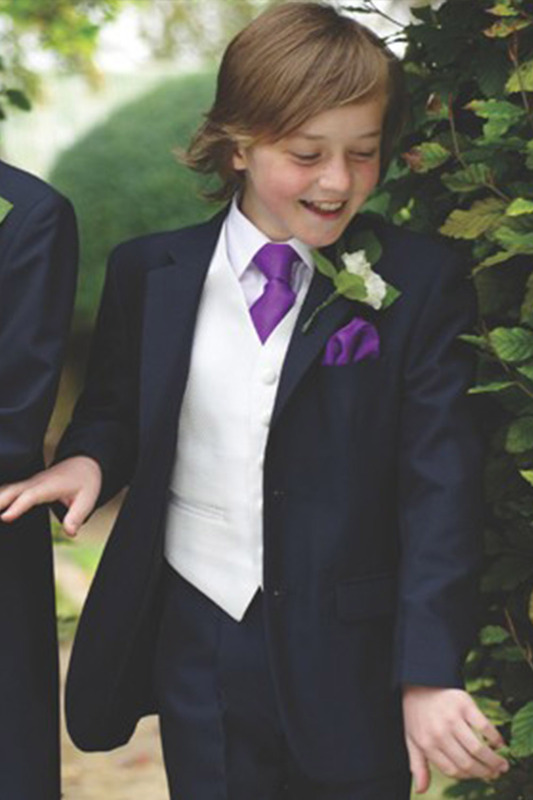 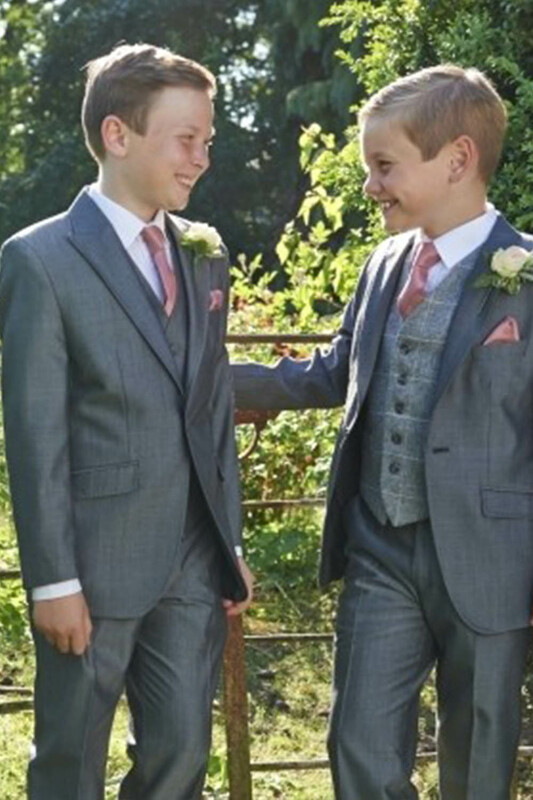 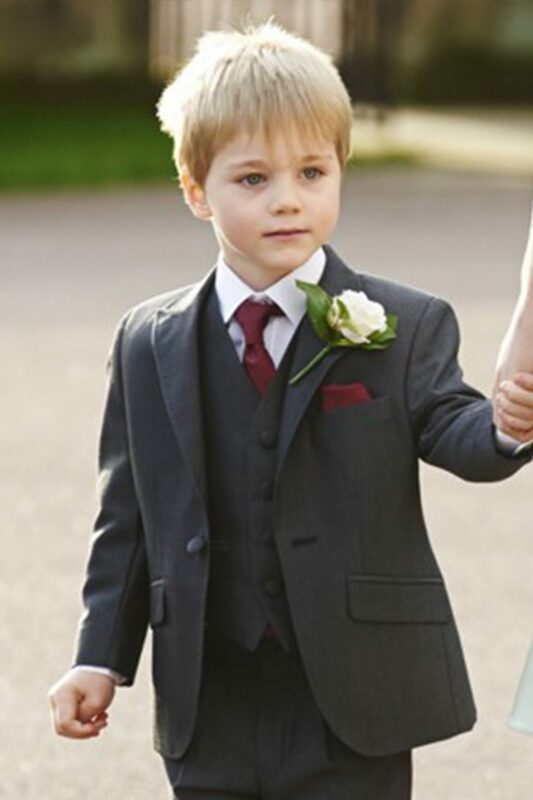 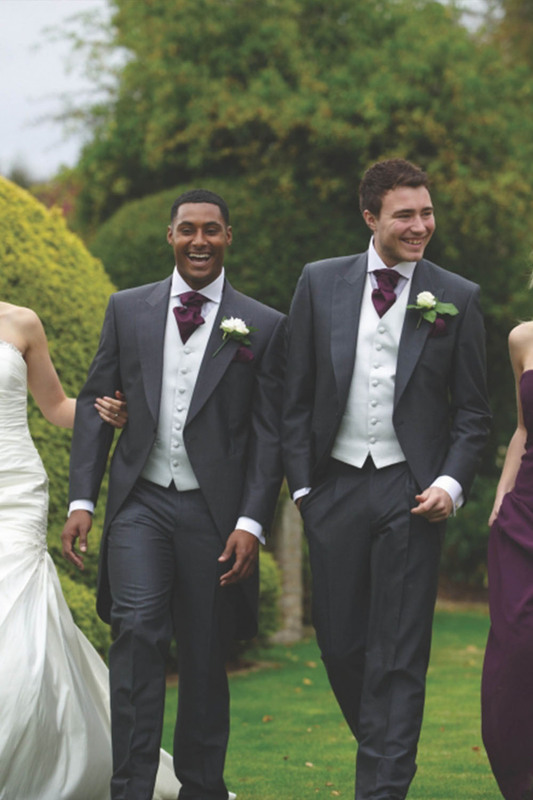 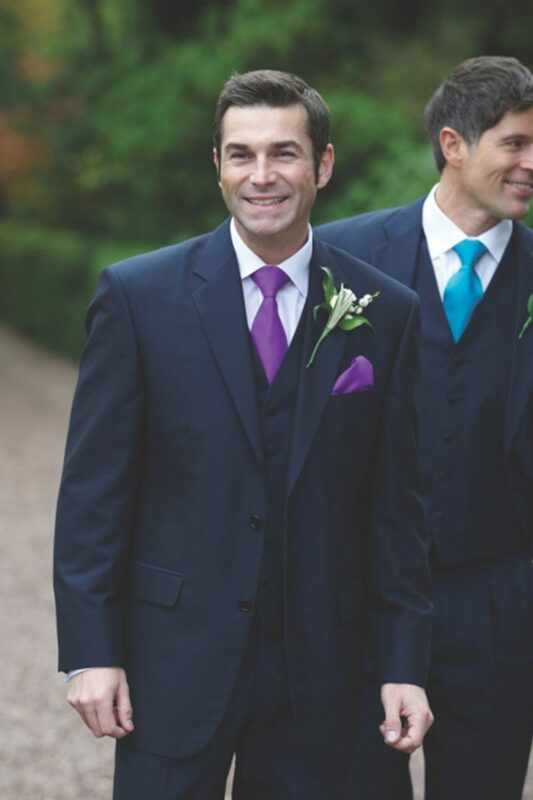 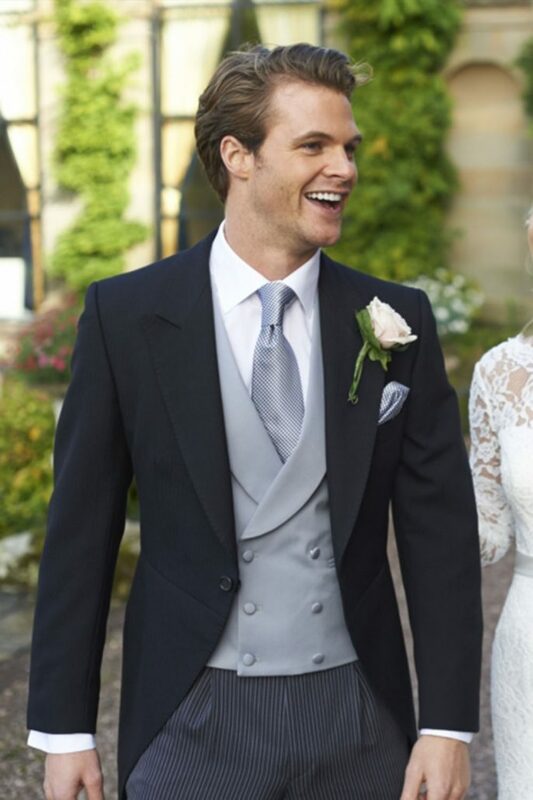 At Georgina Scott Bridal we can help you choose the outfits for the gentlemen in your party with our great range of gents formal hire. 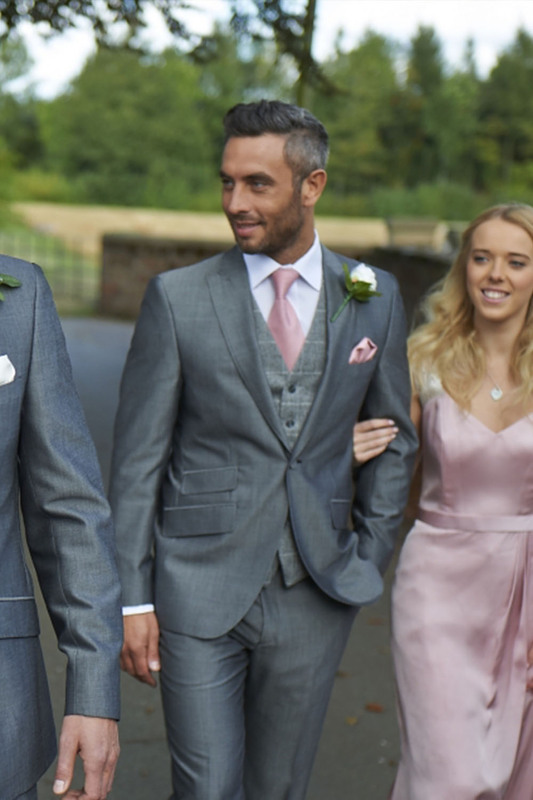 Whether you want something unique to the individual, or some co-ordination between members of the party, we can provide the advice and assistance you need to make your wedding style ideas work for you. 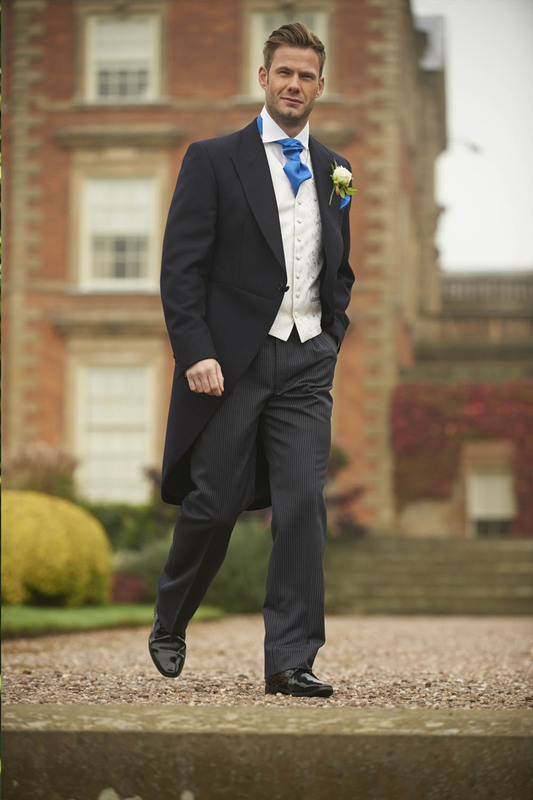 Our formal hire will delight and inspire you. 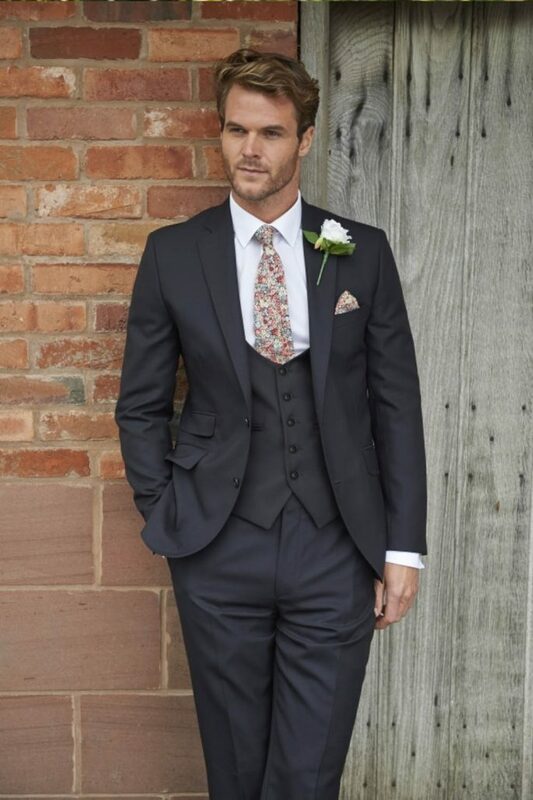 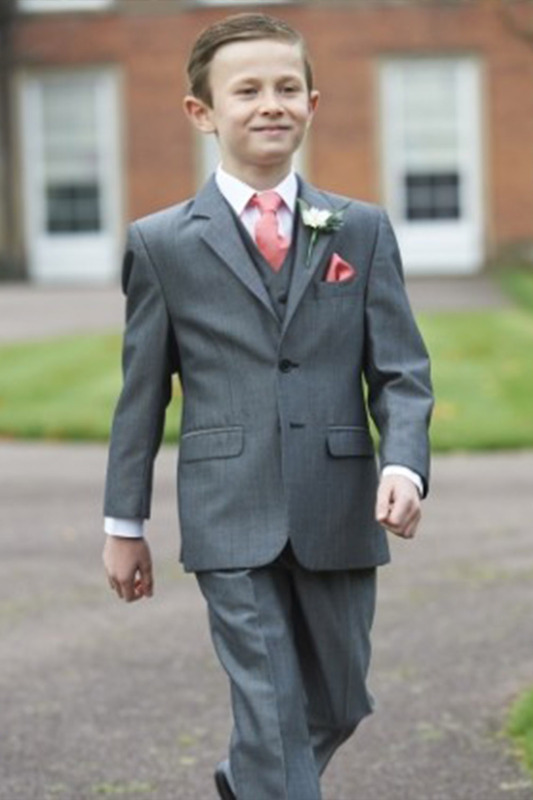 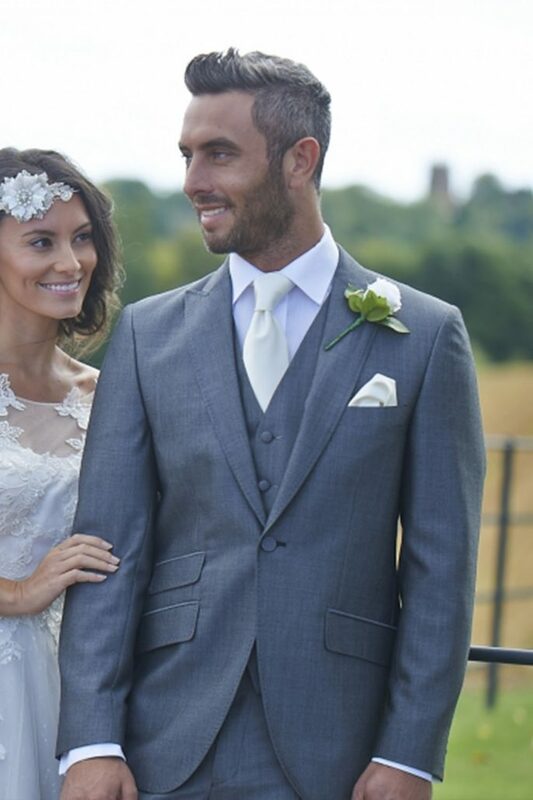 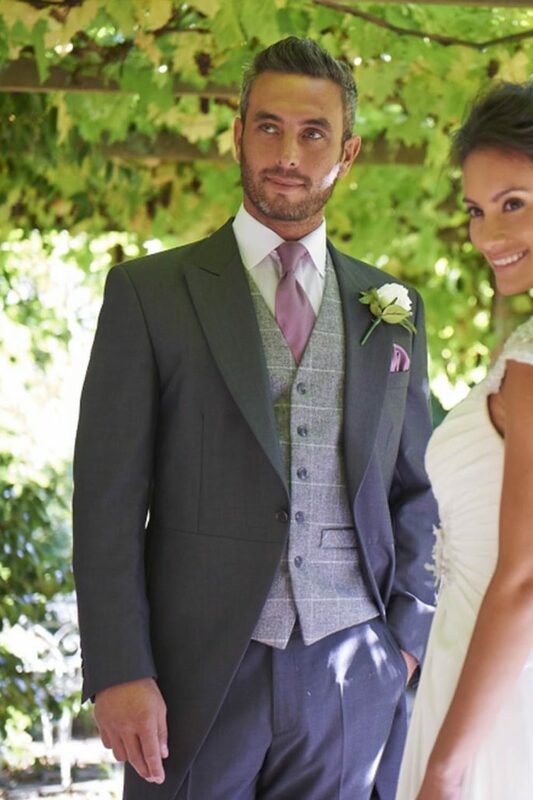 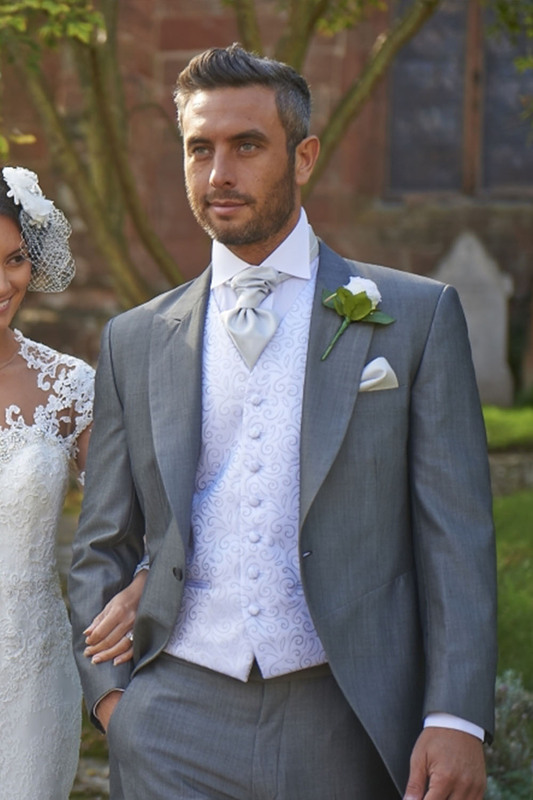 Our suits are available in different styles and fits, and in a range of traditional and modern colours such as black, slate grey, navy and mid-grey. 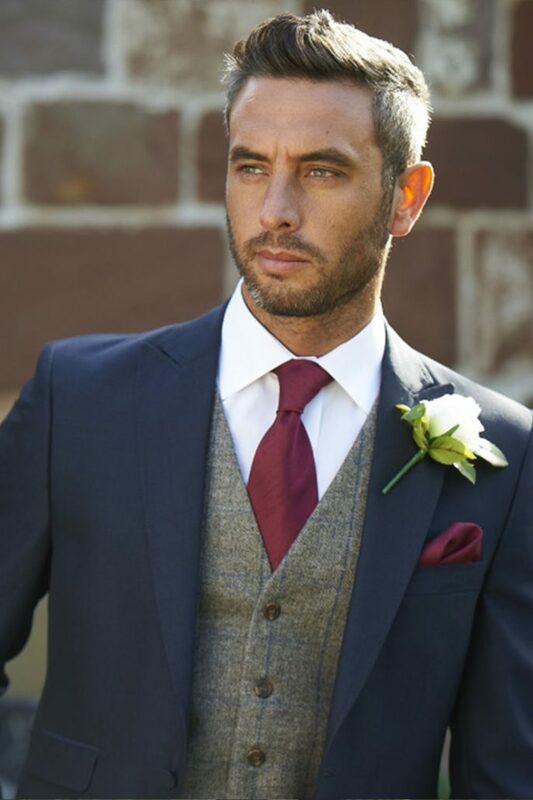 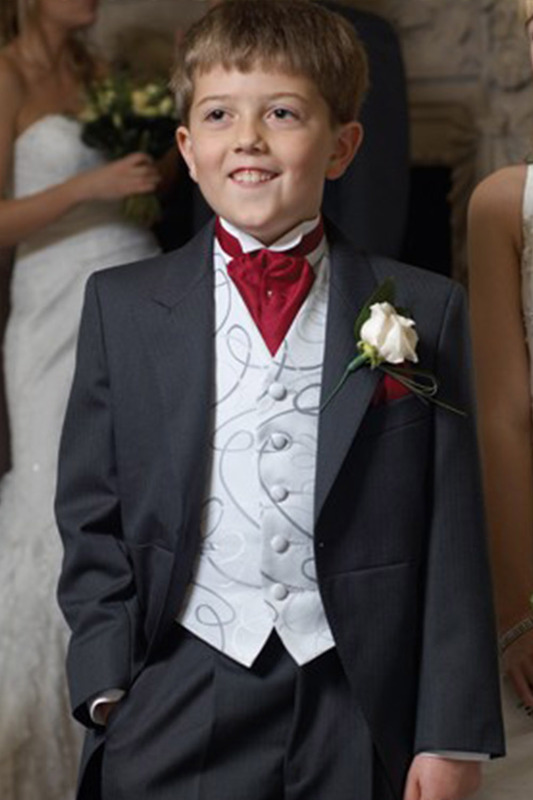 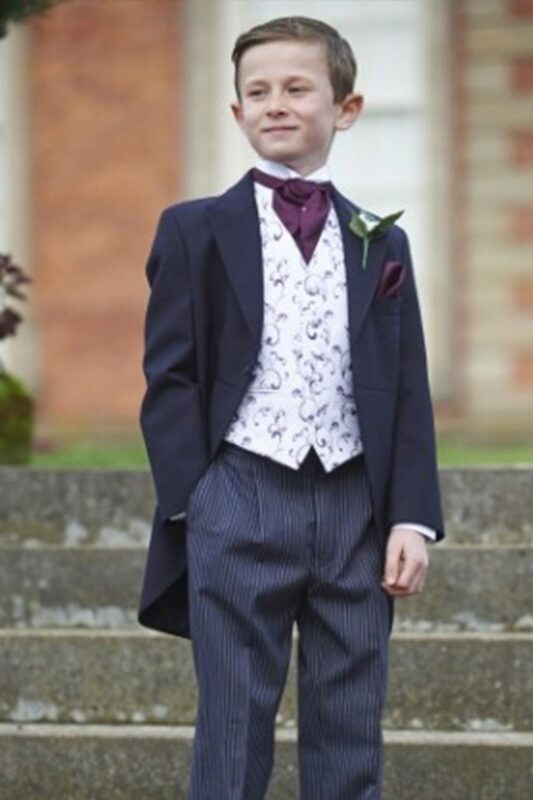 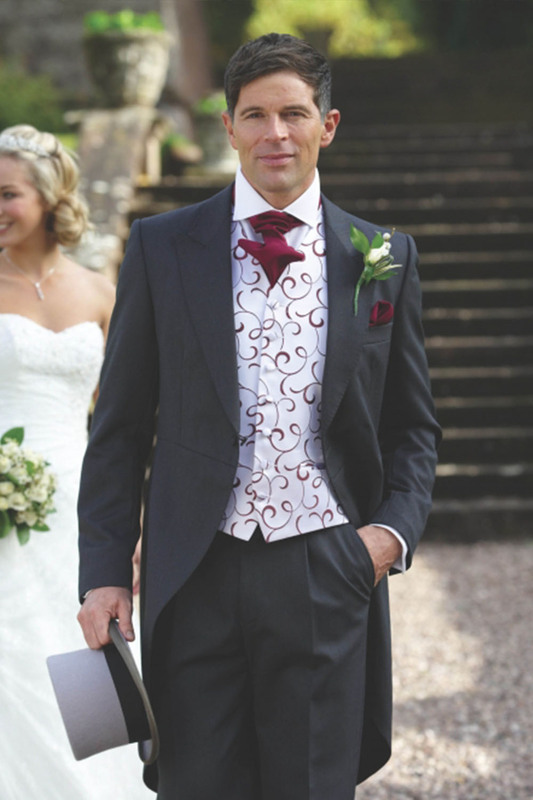 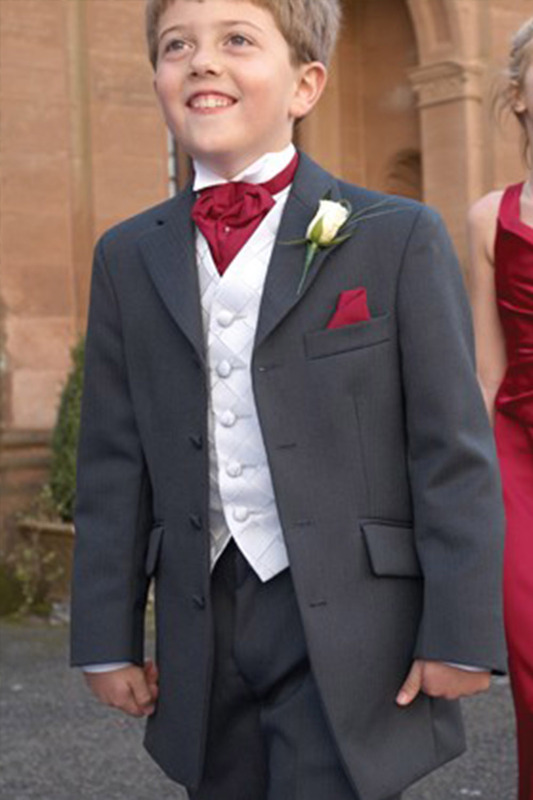 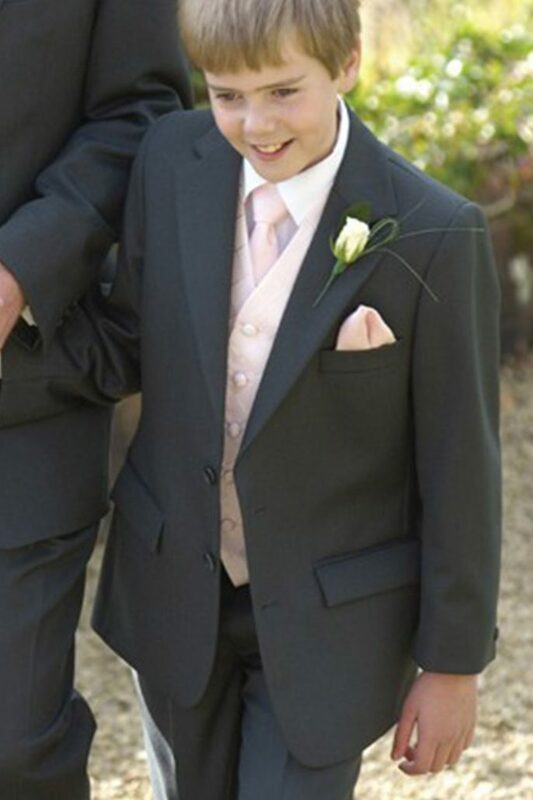 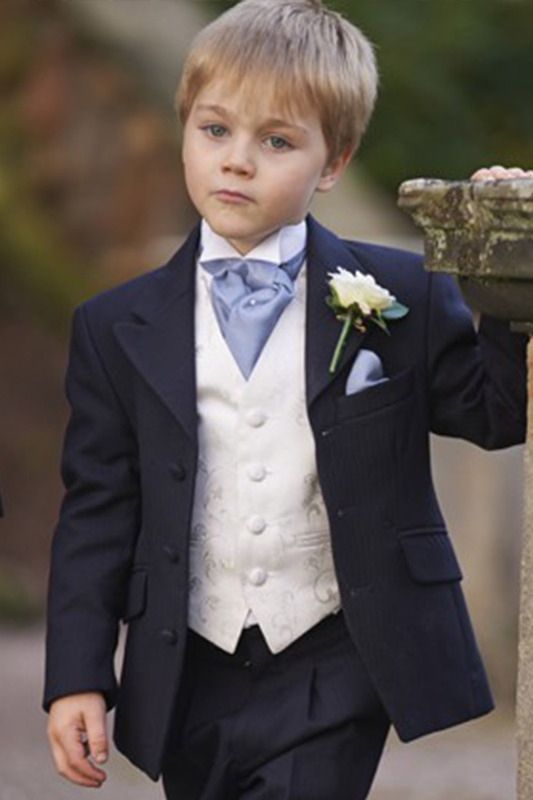 Add to that our unique range of waistcoats and ties and you will see that the gentleman at your wedding will stand out resplendently. 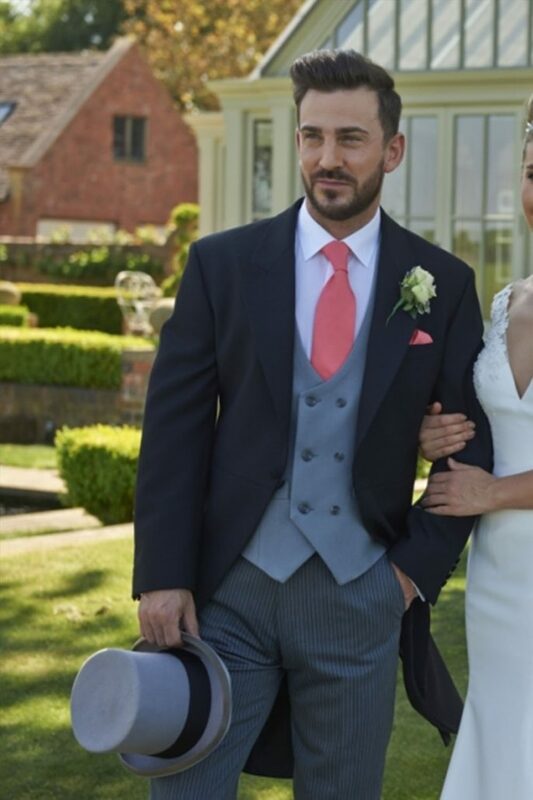 If you would like to book an appointment to find out more about our range of gents formal wear to hire, or discuss our bespoke made to measure gents formal wear, please telephone our team on 01384 893656.